German Blavkhead mutton, or Schwarzkopf Fleischschaf, are from Westphalia, Germany. They are medium-sized, white sheep that are wide and long with dark-brown to black head, ears, and legs. 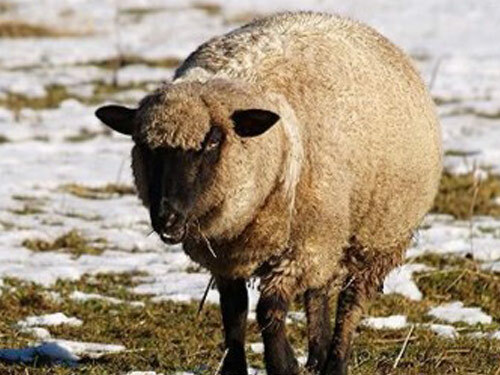 They grow crossbred wool with a tight and firm staple that protects them in a wet climate. In 1850, blackheaded meat breeds, such as Leicester, Southdown, and Hampshire were imported from England into Saxony to be crossed with local breeds. Thirty years later, breeding of these sheep started more in Westfalia and Eastern Prussia than in Saxony. The Merinofleischschaf (Merino mutton sheep) was prevalent in Saxony.